Five members of the Hudson Valley Community College student body were named recipients of the State University of New York Chancellor's Award for Student Excellence. The recipients are Inesa Pengu, an Engineering Science student, of Troy; Nathanael Savasta, a Business Administration Honors student, of West Coxsackie; Jordan Harris, a Human Services student, of Cohoes; Julio Rodriguez, an Individual Studies student, of Amsterdam; and Skylar Blankenship, a Liberal Arts Honors student, of Rensselaer. Pengu was awarded the Kenneth M. Barber Award for Excellence in Experimental Physics in 2017. Chosen to receive the USA Today Phi Theta Kappa - All New York Academic Award, she also has been named to the Hudson Valley Community College President's List during each of her semesters at Hudson Valley. She serves as a peer tutor at the college and is also a member of the Engineering Club. 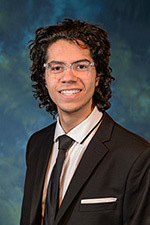 Savasta has been named to the President's List during each of his semesters at Hudson Valley and is a member of the Phi Theta Kappa Honor Society. He has also received the USA Today Phi Theta Kappa - All New York Academic Award, and works as a peer tutor at the college. 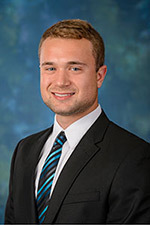 During his time at Hudson Valley, he has served as freshman class president, Student Senate president, treasurer and vice president of the Entrepreneurship Club, and vice president of the Investment Club. He also serves as a student trustee on the Hudson Valley Community College Board of Trustees and a co-chair of the Board of Trustees curriculum and student life committee. He was a member of the search committee tasked with hiring the college's next president. Harris was named to the President's List during the Fall 2016 and Fall 2017 semester and the Dean's List during the Spring 2017 semester. 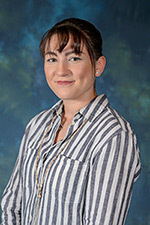 She has served as the president of the college's chapter of the Phi Theta Kappa Honor Society since Fall 2017 and is responsible for handling projects and fundraisers. Rodriguez has been named to President's List for three consecutive semesters. He is a member of the Phi Theta Kappa Honor Society and currently serves as the editor-in-chief of the college's student-run newspaper, the Hudsonian, which was named the third best two-year college periodical in the nation at the 2017 College Media Association's National Media Convention in New York City. 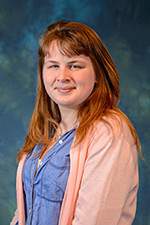 Blankenship is the founder and current president of the college's American Sign Language Club, and has also served as the club's vice president. She also serves as a peer tutor and as a tour guide at Hudson Valley, and was elected treasurer of the Tour Guides Club this year. 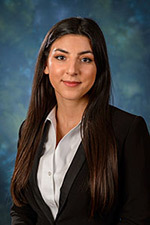 She has served as a student representative at the college's HonorScholar Informational Evening for two years. The students were invited to attend the 2018 Chancellor's Award for Student Excellence ceremony and reception, Tuesday, April 10, 2018 from 2-4 p.m. in the Albany Capital Center. The Chancellor's Award for Student Excellence was created 21 years ago to recognize students from across the State University's 64 college and universities who have best demonstrated, and been recognized for, the integration of academic excellence with accomplishments in the areas of leadership, athletics, community service, creative and performing arts or career achievement. Each year, campus presidents establish a selection committee, which reviews exemplary members of their college communities who are graduating. Nominees are then forwarded to the Chancellor's Office and are subject to a second round of review. Finalists are then recommended to the Chancellor to become recipients of the Chancellor's Award for Student Excellence.